- Baggage is belongings or article which is carried with passenger or requested to send by air plane's cargo compartment during the flight. - Checked Baggage has baggage tag issued by airline. You are able to transfer articles into baggage to be checked in as hold baggage. This luggage will be sent by air plane's cargo compartment. - Carry on Baggage, not checked baggage, is under passenger's responsibility. This will be carried with passenger on board. - For safety, please keep 1 hand luggage when you boarding. - Just in case, please put your name, address and contact number tag in English on in and outside of your luggage. 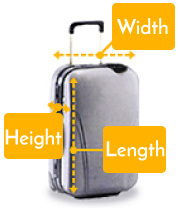 - Baggage should be suitable size and weight for guided regulations and be packed avoid damage. - Please note that any inflammable and explosible items such as Cigarette lighter, butane, burner, paint or a hairdye etc. are not permitted in baggage whether cabin or hold baggage. - You must not include in checked baggage fragile or perishable items, money, jewellery, precious metals, silverware, pottery, antique, laptop, electronic devices, negotiable papers securities or other valuables, business documents, passports and other identification documents or samples. You must take them as passenger baggage. - The company does not accept liability for any loss of those articles. Please note that passengers are not allowed to carry restricted items (Dangerous articles) under any circumstances. This applies to both hold and cabin baggage. If you are violate the rules, you will be punished pursuant to Article 44 of the Aviation safety and security law. - For a comfortable and safe journey, we set a limit on the size and weight of hand luggage. Please follow the requlations above. - You can take one piece of article more into cabin among small briefcase, notebook or laptop. - Small sized instrument under 115cm including case can be taken into cabin but if you need to carry big sized instrument such as Cello, double bass or gayageum (Korean harp) with you, you must pay the airfare for its seat. - There could be an exception. Hand luggage could be restricted or changed in accordance with restricton of aircraft or policies and procedures of regional airport. - Extra charge : Baggage which exceeds this weight will be paid for $10.00 per 1kg. - The liquid is in a container with a maximum volume of 100ml. - All containers must fit into a transparent 1 liter plastic bag. - Each passenger can take only one piece of plastic bag. - Appropriate amount of medicine, baby food or other medical purposed liquids can be carried on the plane considering the itinerary. Tax-free liquid such as liquor or perfume purchased in Airport can take into cabin only when it is a packed transparent and re-sealable. If you transfer to other country, you should check regulations of transfer point. Otherwise, you tax-free liquid chould be confiscated. The transparent and re-sealable tax-free is allowed to carry into cabin. For cabin safety, the items below are strictly prohibited. Please check the list below before you start your journey. - Fragile or perishable items, money, securities, jewellery, antique, works of art, documents etc. - Medicine and medical supplies which is needed during the flight or in destination. - Firearms and gunpowder less than 5kg for the purpose using sports firearms. - Only when passenger who has permission of carrying and using of firearms in accordance with explosive control law shows permit in advance. - Pre-approval procedure is needed by agencies involved or airlines in advance. - Only when you remove exploder and ignition of firearms. Only when you pack firearms in wooden or metal box safety avoid damage. - Electric wheelchair which is separated battery. - Battery should be packed safely avoid short circuit and leak of solution. - Must be transported in separate hold luggage. Restricted item is all prohibited items for safe flight and protection of passenger's lives and property. You can't possess those restricted items on the plane. If you are under any suspicion, you could be punished. 1) "Dangerous article" includes firearms, swords or explosives etc. in accordance with Article 3 and 11 of firearms, explosive and swards control law. 2) The following objects are also included in dangerous article. : Cold steels judged to be dangerous such as wooden sword, swiss army knife. : Truncheons, cudgels in leather or imitation. : For sale or privately manufactured explosives, ammunition, the other mixture. : Which can be exploded or ignited. The other mixture. : Tear bombs, nerve gas, the other chemical gases, toxic material. - Sky Angkor Airlines will be liable in any event in respect of loss or damage to baggage which is occurred by airline's fault during transportation. 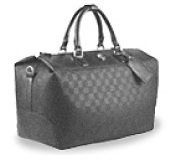 In the event of loss or damage to baggage the airline's liability is limited to $20.00 per 1kg for hold luggage and $400.00 per person for hand luggage or other possessions. However, damaged baggage must be reported in written form within 7 days from the date which you take delivery of baggage from airline. Loss or delayed baggage must be reported in written within 21 days from the date which you check baggage in to airline. We will not be liable in the cases below. - High-priced electronics such as laptop, mobile, camcorder, camera and MP3 etc. or the data of those objects. - Valuables such as cash, jewellery, precious metals, securities, negotiable papers, contracts, passport, identification documents or samples, antique etc. - Damaged locks during security check or damaged film after pass through x-ray.